On Saturday night, the local base offered a "Parents Night Out" where they held a daycare session on base from 6:30 until 11:30. We jumped on the opportunity and made plans to go out with friends! We were so happy we did, because we had a great time! 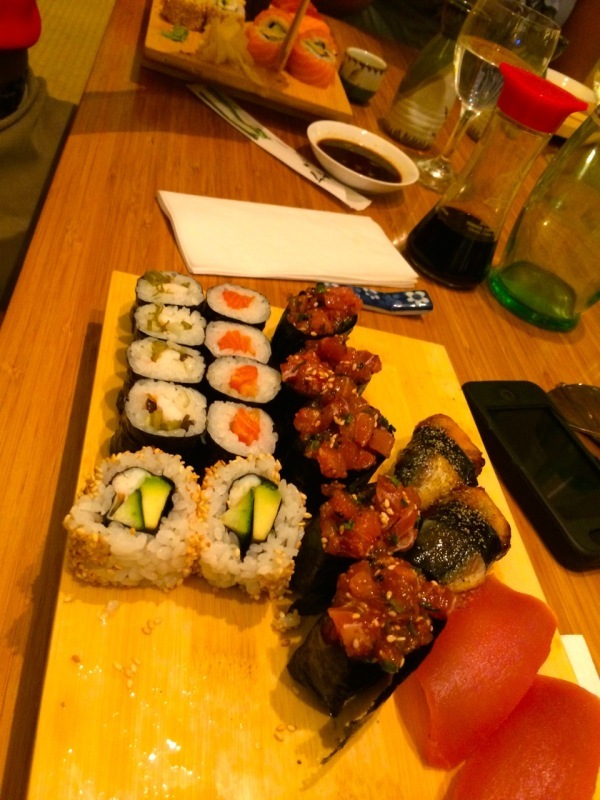 We went to dinner at a Sushi restaurant in downtown Stuttgart, called Kikuya Sushi. The place was great, and the food was very good. We shared a sushi tray and some appetizers. 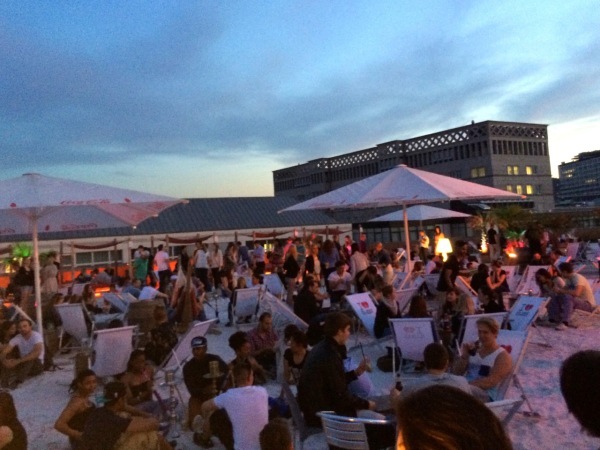 After dinner my friend Jeremy showed us the "Sky Beach" in downtown Stuttgart. It's basically a ton of sand on the top of a building in the center of Stuttgart, where the view is amazing and everyone kicks off their shoes and enjoys the sand! We had a great night and are so thankful that we have friends that are willing to show us around, and that we have opportunities from base to let Cooper play while we enjoy some adult time! Until next time!